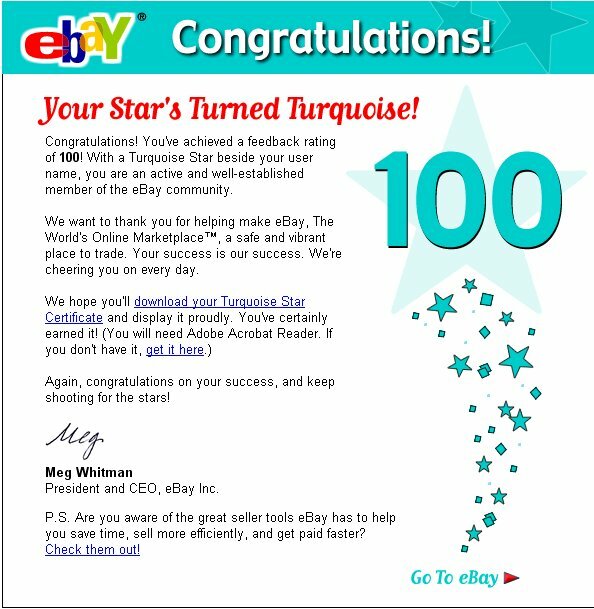 I do a lot of buying and selling online, and most of my greatest money-making has happened through eBay. Although I'm not a big fan of their censoring practices, I do like the free-market structure provided by them -- I think the free market is what makes the world go round. And check it out - that congratulatory document is even signed by Meg, the President and CEO of eBay.